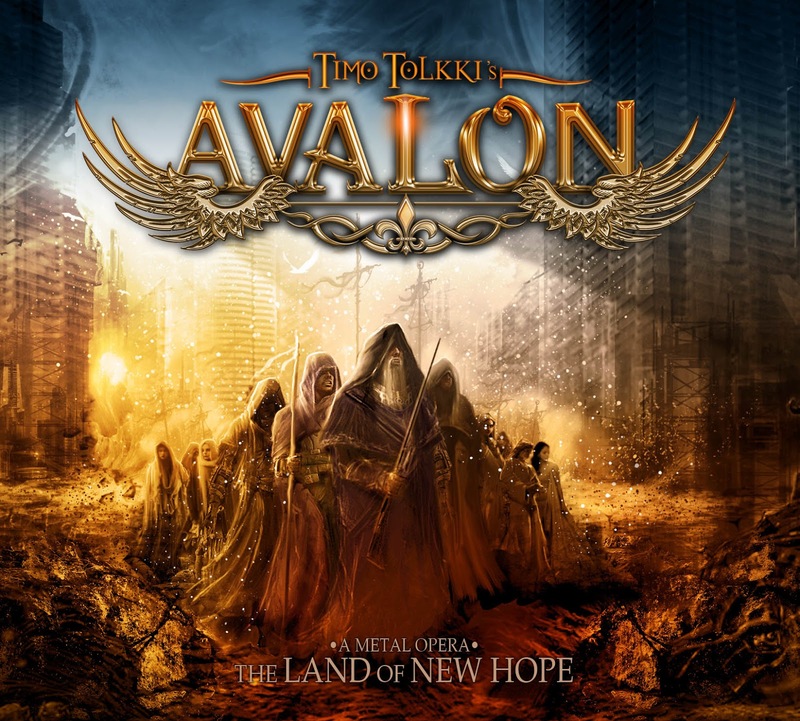 RockUnitedReviews: Timo TOLKKI'S AVALON: "The Land Of New Hope"
Timo TOLKKI'S AVALON: "The Land Of New Hope"
Not to be confused with the other Avalon project (the Richie Zito one) released a few years ago on Frontiers, this one marks the return of Timo Tolkki. The former Stratovarius songwriter and guitarist has gone through many ups and downs lately, and to be honest it's been mostly downs, as none of his post-Strato projects really took off. Now with Avalon he seems to be getting more attention and deservedly so. I must admit that I haven't paid much attention to the storyline, I've just enjoyed the songs as they are. 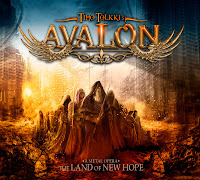 Tolkki has delivered a rather fine selection of tunes, ranging from fast power metal anthems to heartfelt ballads. With a great cast of singers and musicians performing them, this really is something special and hopefully a great success for Tolkki. There's a few songs I especially want to mention: the first single "Enshrined in My Memory" is one of the catchiest songs of this year. With it's Abbaesque melodies it might give a wrong idea about the album, but don't worry, there's plenty of power metal moments on this one, if that's what you're after. The opener "Avalance Anthem", "We Will Find A Way" and "The Magic Of The Night" are such songs, all featuring glorious, anthemic choruses. I find the album's ballads very good too, especially the beautiful "I'll Sing You Home". "Shine" has to be mentioned too, if only for its' similarities to the Nightwish hit "Amaranth"... the vocal melodies in the verses are a bit too close for comfort. And the plot thickens... it's features the vocals of Elize Ryd of Amaranthe?! Elize, Rob Rock and Russell Allen are the main vocalists on the album, and they do a fine job. Also featured are Sharon den Adel, Tony Kakko and Michael Kiske. The latter sings the epic 9-minute title track, and shows that he still has the "pipes", hitting some insanely high notes. LONG DISTANCE CALLING: "The Flood Inside"
TROELS SKOVGAARD: "Songs of Life, Love and Lies"
THE RAINBIRD: "The Tiger Dreams"
DIVIDED MULTITUDE: "Feed On Your Misery"